Available to Art History faculty and graduate students on a first-come, first-served basis. 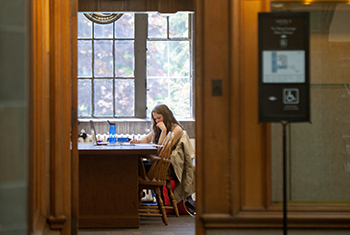 Request a carrel shelf here by completing an application. 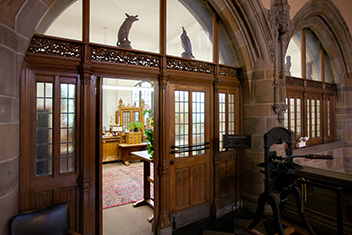 Holds many unusual and outstanding items and collections. No special credentials or permission is necessary to use our materials. We are open to the general public and the entire Northwestern community. Researchers visiting from out of town should contact us before visiting so we may verify that we have what you seek. See resources for visiting the Library. 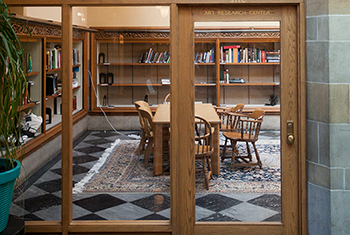 This space holds stacks and tables for use by patrons, available to Art History faculty and graduate students on a first-come, first-serve basis. Houses Northwestern University Library's most unusual and outstanding items. 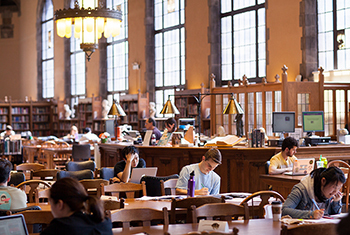 Access to materials is open to both the general public and the Northwestern University community, however none of the books circulate.